This is a part of the town only known to walkers and those with a long association with the place. 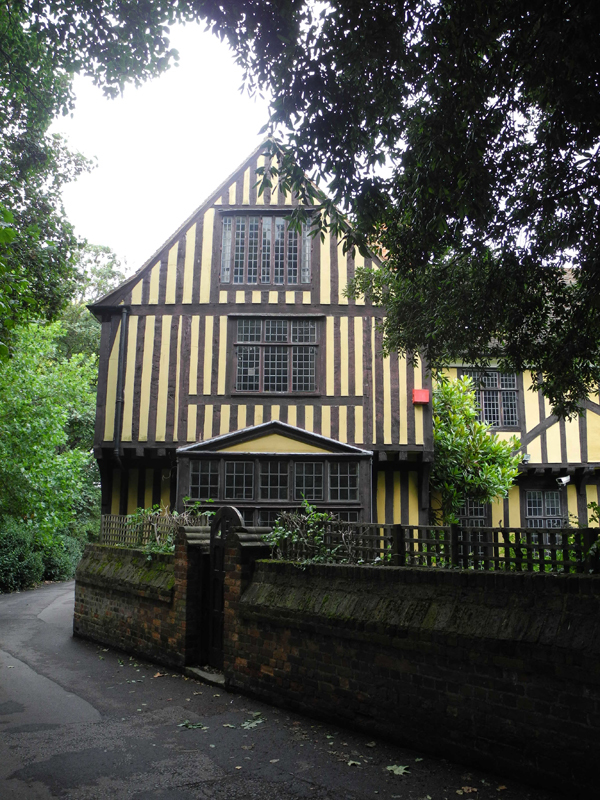 Located at the back of Eltham Palace it is an ancient right of way which is now part of the Green Chain Walk. As you approach Eltham Palace its worth taking some time to look at the texture of the brick work along Court Yard and Tilt Yard defying time still standing but bowing. The walls date back to the 16th C and are listed. Take the path at the side of the Palace main entrance passing some Tudor style mansions. There is a turning to the left marked by the Green Chain sign and an iron gate with a White Tudor Rose. This is King John’s Walk. The vast panorama tricks you to think that you are in the middle of Kent rather than a mere half mile from the High Street. This path originally linked the Palace with the hunting estates of Middle Park and the Great Park. There is still sufficient open space to get a feel of what it was like when it was a hunting park. The path is named after Prince John of Eltham born at the Palace in 1316 to Edward ll and Queen Isabella. It is also associated with the French King Jean Le Bon who was held captive at the Palace after the Battle of Poitier 1356. It is said that he used to exercise here. The familiar London skyline of the Shard, London Eye, Walkie Talkie, Canary Wharf and Millennium Dome can be seen from the path. Over to the West is a view of Crystal Palace. At the Green Chain sign post take the right hand path towards The Tarn. 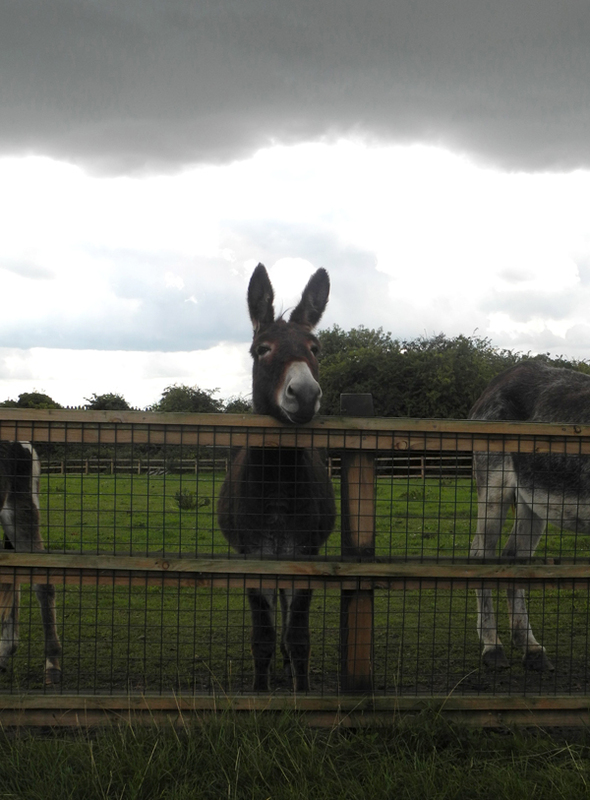 There is a field of donkeys and a couple of mules. Yes, and you are still in Eltham. They are quite friendly and will move towards you as you walk along the path. The path crosses the boundary of the Middle Park Estate crossing Court Road and into The Tarn. 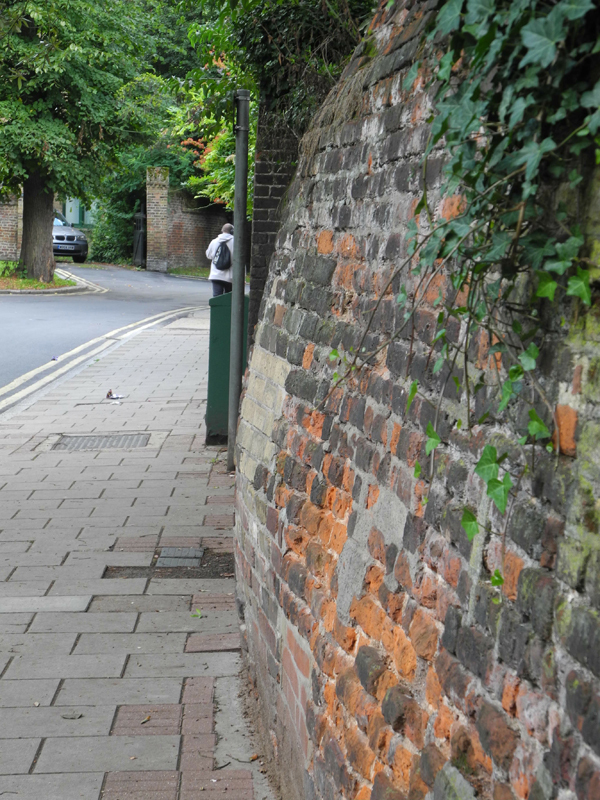 At the entrance there is a C18th brick ice well built to supply Eltham Lodge. Built in 1664 it is now the Royal Blackheath Golf Club which is set back from Court Road. The Tarn is named after the lake which is the main feature of the small park. 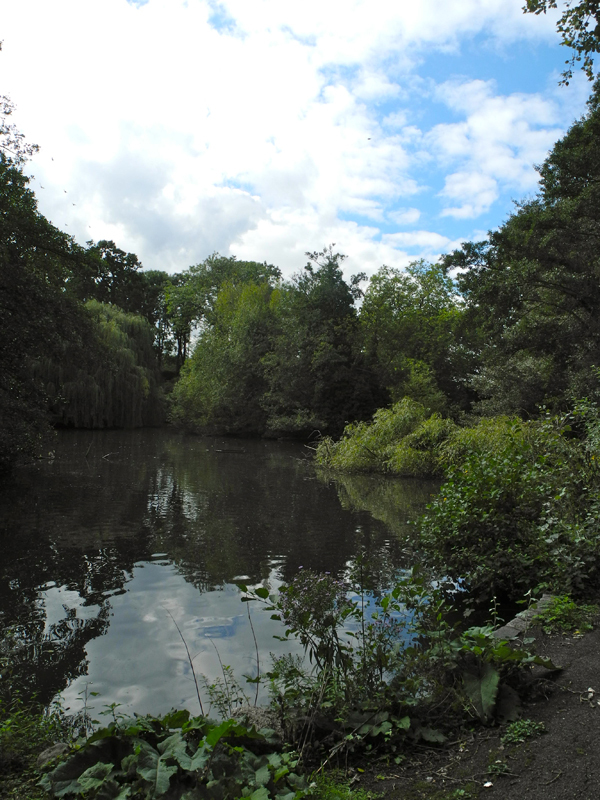 Eltham Lodge and the Tarn were once within the Great Park of Eltham Palace. To return to the High Street take Court Road. The walk will take about an hour or more if you spend more time with the donkeys. Interesting! Thank you. I visited Eltham Palace a while back and loved the area. I love these ‘City’ surprises.